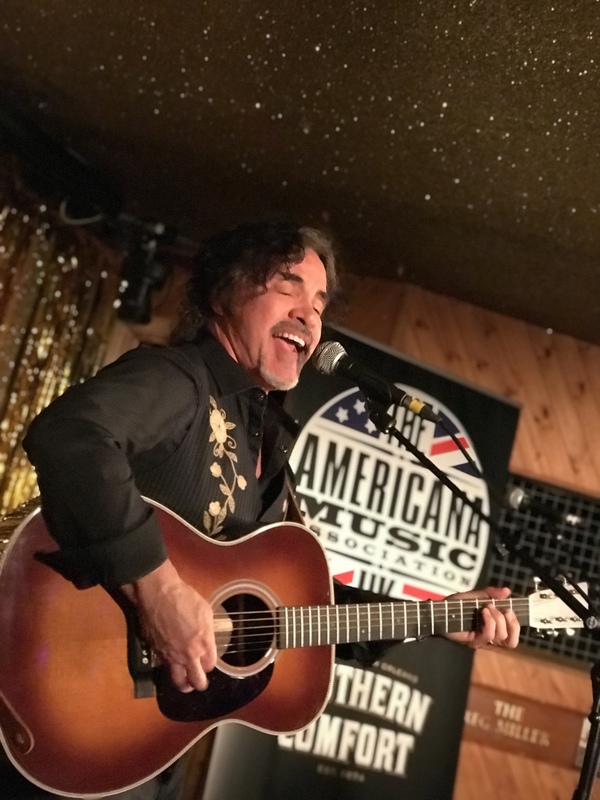 The Americana Music Association UK scored a massive coup in bringing John Oates to London to play at the showcase event at an intimate venue in east London. 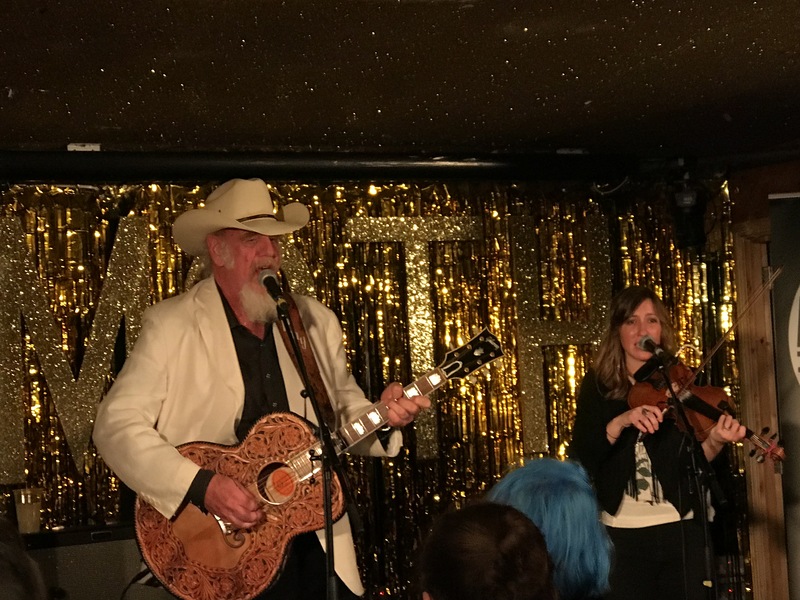 With a stellar line-up, record label Thirty Tigers strutted its stuff at the Moth Club and proudly paraded its talent. Asleep at the Wheel had veteran Ray Benson and fiddle player Katie Shore whipping up a storm. The club was packed to the gills and they tore it to shreds with powerful and frenetic traditional country swing. Preceding South of the Border, Benson gave his take on that wall: “There’s a guy who wants to build a wall. Well, we live in Texas and we’re not for a wall, we may want to get out some day.” Take Me Back To Tulsa and the barnstorming Tiger Rag had the crowd jumping. Then the big one. I don’t think any of the couple of hundred people or so who were lucky enough to be in the Moth Club could quite believe that they were about to see John Oates, one half of the biggest-selling duo of all time, Hall and Oates who headlined BluesFest at the O2 Arena in 2017. Yet here he was, playing to a fraction of that number in Hackney. Kicking off with Carolina which he wrote with Jim Lauderdale, Oates astounded with amazing finger picking guitar. He then played a couple of Mississippi John Hurt Tracks; Stack O Lee and Spike Driver Blues. This was awesome country blues and the audience lapped it up with reverence. It was a privilege to see Oates playing the music he loves and grew up with. There was a version of Jimmie Rodgers’ Miss The Mississippi and You, Arkansas, Edge Of The World that Oates wrote with Mike Henderson and a cover of the 1969 track Them Dance Hall Girls by Fraser and DeBolt. To finish Oates played She’s Gone “I’d like to sing the very first song we played in England in 1972, the song that’s defined my career. 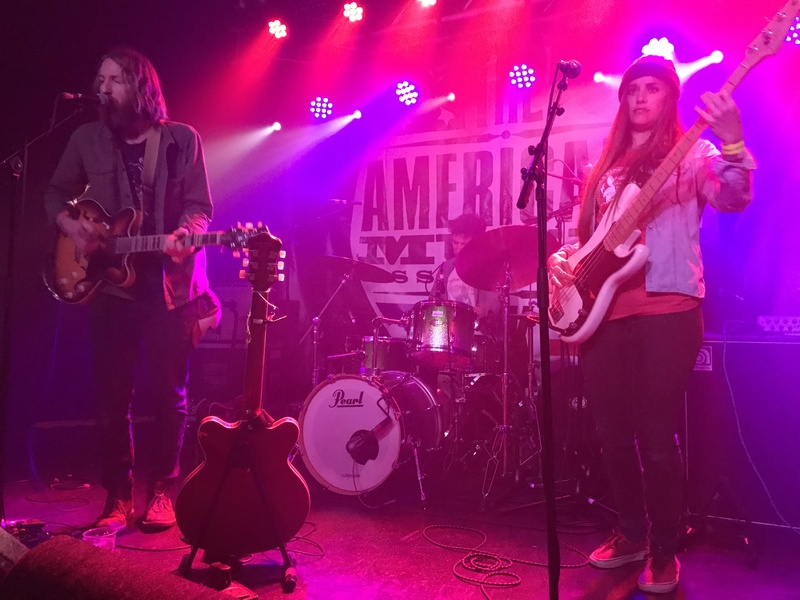 I don’t know whether it qualifies as Americana, but I don’t think I’ve ever given a concert without playing it” Nobody cared if it was or wasn’t Americana, the audience appreciated the passion, quality and skill on display. Wade Bowen had the unenviable task of following Oates at the Moth (the Memorable Order Of Tin Hats – ex-servicemen’s) Club. He said “I’ve flown in from Texas this morning and they’ve told me I’m following John Oates!” Bowen played a fabulous set, with several tracks drawn from his current alum Solid Ground, including Day Of The Dead and the superb Anchor, with the cutting lyrics “You kiss me like I’m an old habit. My name’s familiar on your lips”. Then it was off to the Oslo Club (several of the venues for the showcase had unusual names such as Oslo, Moth, Paper Dress Vintage and Night Tales) to catch William The Conqueror. Led by Ruarri Joseph this trio make a wall of sound that has to be heard to be believed, grunge Americana meets rock and roll. The band were on fire and as gave an awesome show as ever, aptly using the showcase event to feature several new tracks from the new album Bleeding On The Soundtrack which is out mid-February, including the title track, Curse of Friends and the crowd pleaser Thank Me Later which went down a storm. A review of the new William The Conqueror album will appear pre-launch on BOON. 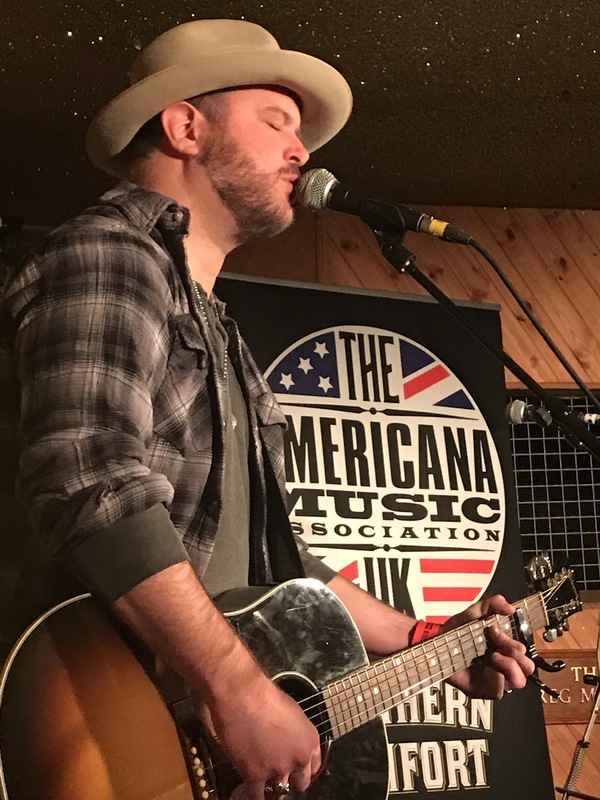 Overall this was a superb event and we can’t wait for the 2020 AmericanaFest UK Showcase.